Hillary Clinton is on board with the bipartisan plan to rescue Puerto Rico from near economic collapse, but Senator Bernie Sanders issued a strong statement Friday evening against it. The White House and the House reached a deal late Wednesday to aid Puerto Rico, a U.S. territory that has amassed $70 billion in debt and has been languishing in recession for nearly a decade. The Senate is expected to go along with the bill. Clinton isn't thrilled. She has "serious concerns" about parts of the plan, but she believes Congress should pass it and President Obama should sign it quickly. "We must move forward with this legislation," Clinton said Friday. "Otherwise, without any means of addressing this crisis, too many Puerto Ricans will continue to suffer." Sanders, who is challenging Clinton for the Democratic presidential nomination, said, "I am proud to stand in strong opposition to this bill." He suggested the rescue plan would benefit Wall Street "while workers, senior citizens and children are punished." The clash between Clinton and Sanders comes weeks before Puerto Rico's Democratic primary on June 5. The crisis is so bad that Puerto Ricans are fleeing the island daily. They are packing up and relocating to Florida, Texas and elsewhere at a rate not seen since the "West Side Story" era of the 1950s. The compromise bill is known as the PROMESA, the Spanish word for "promise." It would create an oversight board to control the island's finances and come up with a plan to pay back the massive debt. The solution could include paying creditors less than 100% or delaying payments. 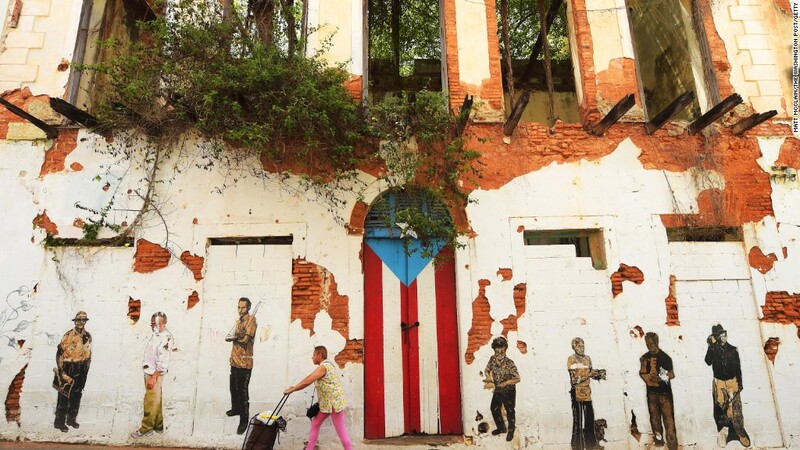 Puerto Rico has already defaulted three times, meaning it didn't have enough money to pay its bills to creditors. Another large payment is due on July 1. Clinton has concerns that the oversight board will exert too much control over the island. Puerto Rico's governor has compared the board to being ruled again by colonial overloads. He says it's "not consistent with basic American democratic principles." But Clinton said if she is elected president, she will ensure the oversight board acts in the best interests of Puerto Ricans. Sanders, who has campaigned in Puerto Rico, said, "We must never give an unelected control board the power to balance Puerto Rico's budget on the backs of children, senior citizens, the sick and the most vulnerable people in Puerto Rico while giving the people of Puerto Rico absolutely no say at all in the process." "That may make sense to groups representing Wall Street, but it makes absolutely no sense to me," he said in a statement. Sanders, who blames Wall Street for Puerto Rico's troubles, had earlier said he would support allowing the island to become a state or even an independent nation. While Clinton didn't go that far, she did scold Wall Street funds that bought Puerto Rican debt while it was cheap in the hope of making a big profit. "We can no longer sit idly by while hedge funds seek to maximize their profits at the island's expense," said Clinton. The Obama administration thinks the top priority is to give Puerto Rico a clear path to restructure its debts, meaning the island might be able to delay payments or not pay back the full amount. The PROMESA bill does provide an option for debt restructuring.